With icy and snowy weather always just over the horizon you can never be too prepared. 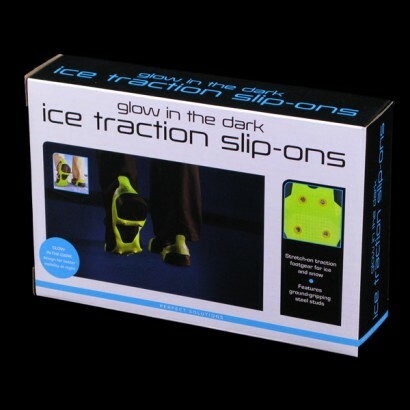 Buy these extremely useful ice traction slip-ons as a gift for dads, stepdads and brothers and you can be rest assured that when the bad weather does set in, winter walks, hikes or even digging the car out of umpteen feet of snow, will be made safer and easier. Built with visibility in mind, the slip-ons glow in the dark, making you more visible to other people and making the road or path beneath you more visible. 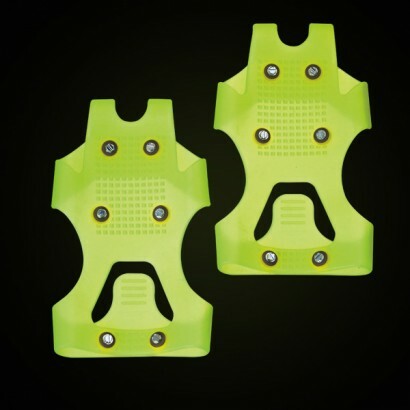 They feature ground-gripping steel studs that will enhance traction underfoot and will easily stretch-on to fit men's shoe/boot sizes 7 to 11.5. Not just for men they will fit onto women's shoes/boots just as easily making walking in snow and ice so much easier.